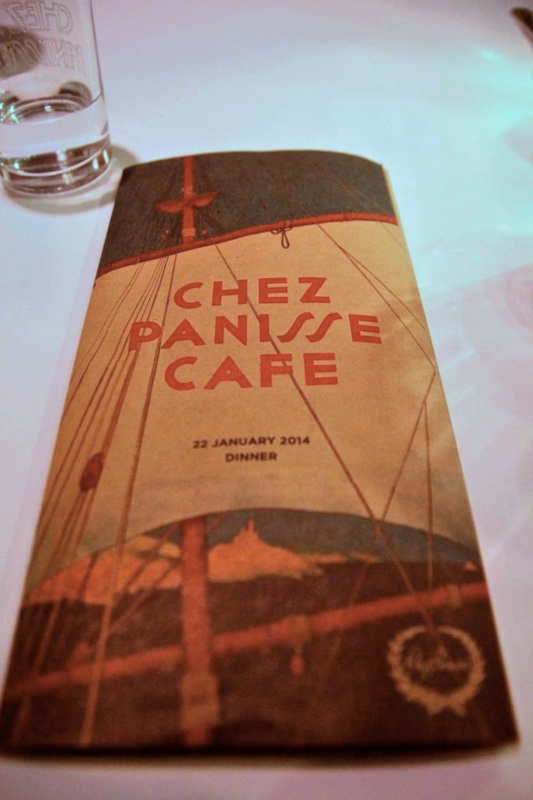 My visit to Alice Water’s iconic Chez Panisse in Berkeley, CA was long overdue. 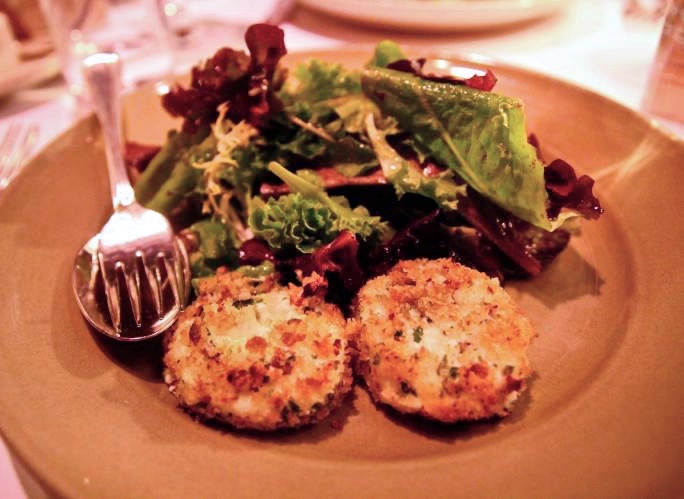 After suffering a devastating kitchen fire back in March 2013, the newly refurbished Chez Panisse has opened its doors and continues to showcase the best of California Cuisine. Nowadays, it seems commonplace to find restaurants in the Bay Area that serve “California Cuisine” and buzz words such as “local” and “sustainable”. However, Waters deserves much credit for starting that trend that has rippled across the world. Waters introduced many menu items that we take for granted such as goat cheese, endives, and kishu mandarins. 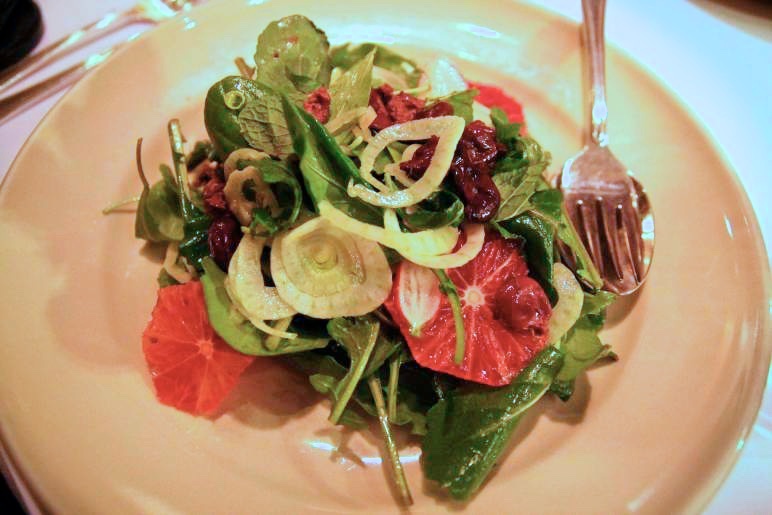 Chez Panisse offers many vegetarian options despite being a French inspired restaurant. Even the sauces drizzled upon the food were light and mostly olive oil based, as opposed to rich, creamy sauces which are typically used in French cooking. 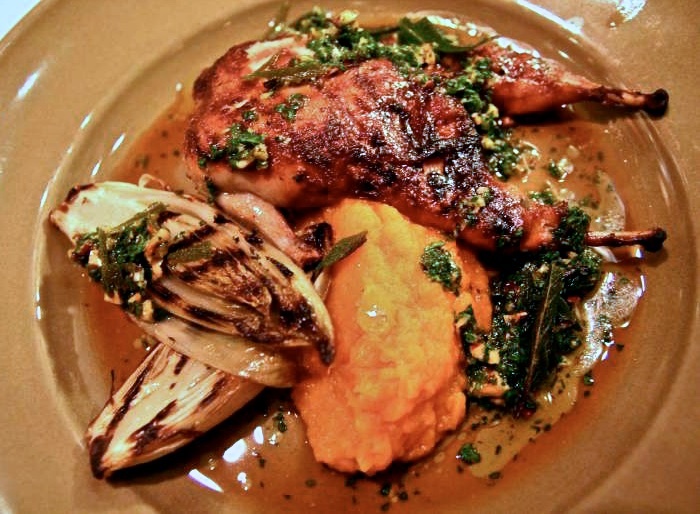 For example, the Wolfe Ranch quail was sautéed in an aromatic, slightly peppery, olive oil with hazelnuts and sage which gave the quail a crunchy texture and an extremely palatable flavor. I also really enjoyed the baked goat cheese salad, which might be the only item to have never left the menu after being introduced. The sweet, grassy taste of the goat cheese perfectly balances the contrasting acidic salad dressing that enrobed the mix of salad greens. For dessert we shared a not-too-sweet Hachiya persimmon pudding cake, drizzled with an incredible bourbon caramel sauce that lay beside a pillowy bed of crème chantilly. Anyone who calls themselves a lover of California Cuisine must visit Berkeley’s Gourmet Ghetto and dine at Chez Panisse to taste history!